Mini Rodini's sleeping nests are made of organic cotton with a recycled polyester padding to ensure the baby is comfortable. They are reversible: they have a pattern on one side and another one, complementary, on the other side. 2 versions are available: Leopard / Horse, and Rabbit / Croco map. A smart zip easily turns the nest into a soft play mat. 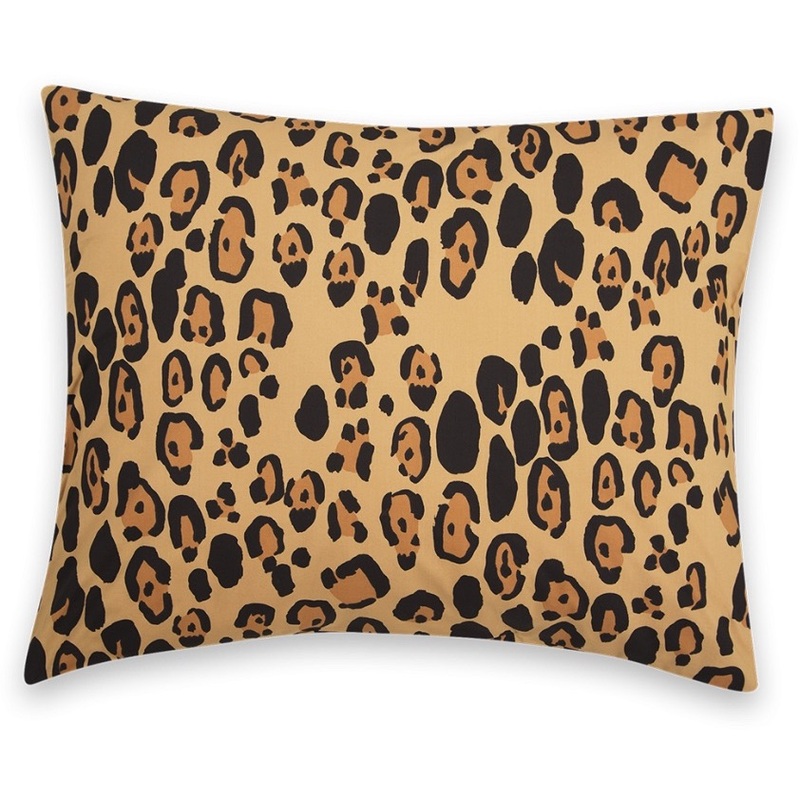 Material Organic cotton, recycled polyester padding. 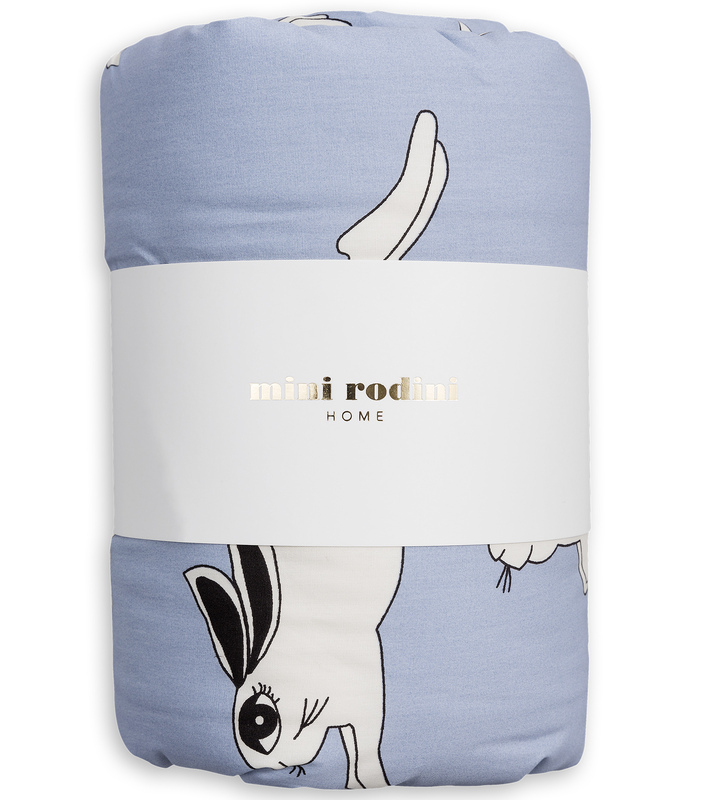 Mini Rodini's bedspreads are made of organic cotton with a light recycled polyester padding. They are reversible: they have a pattern on one side and another one, complementary, on the other side. 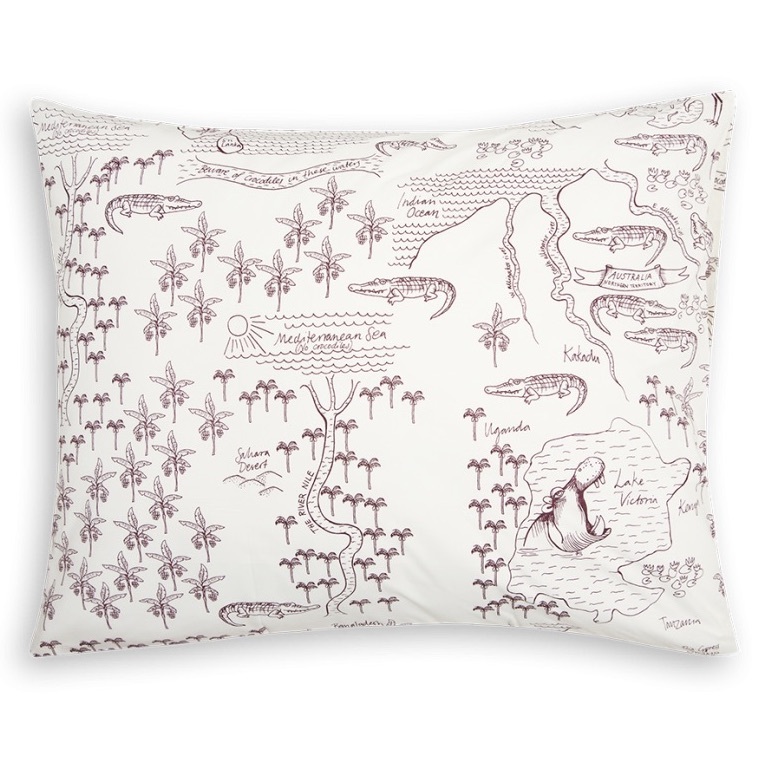 2 versions are available: Leopard / Horse, and Rabbit / Croco map. 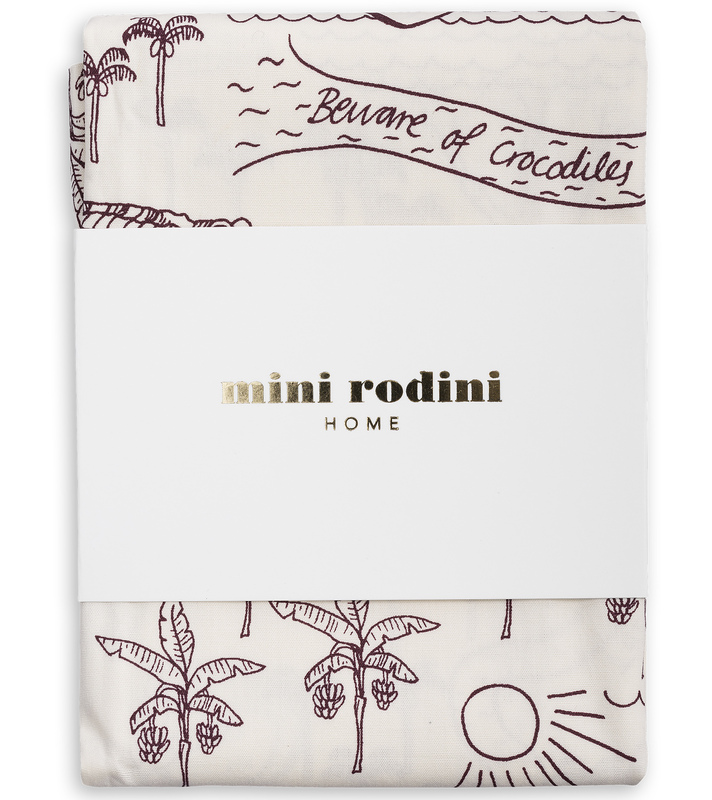 Mini Rodini's bedlinen is made of organic cotton percale and is available with 4 patterns: Leopard, Horse, Rabbit and Croco map. You will find below versions for babies as well as larger ones for children / adults. 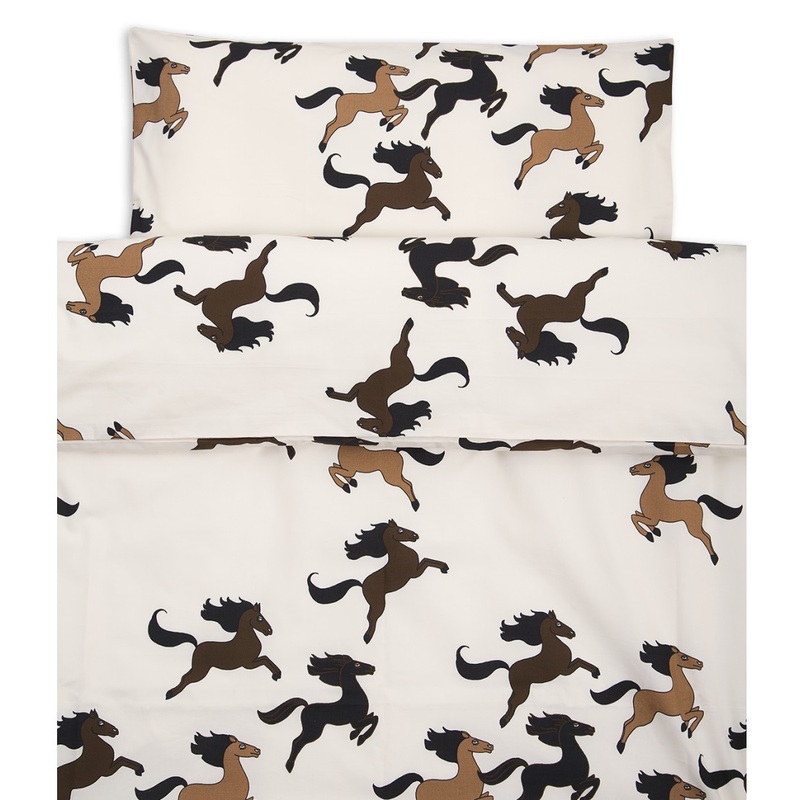 Dimensions Sets of bedlinen 35x55cm + 100x130cm, 50x60cm + 150x210cm | Pillow cases 50x60cm, 50x75cm. 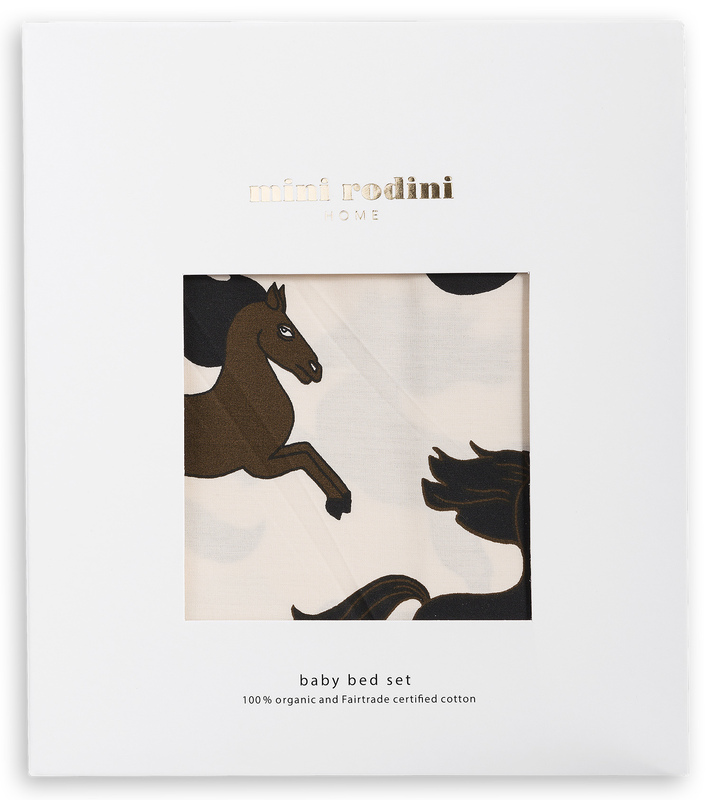 The Swedish brand Mini Rodini was founded by the designer Cassandra Rhodin in 2006. 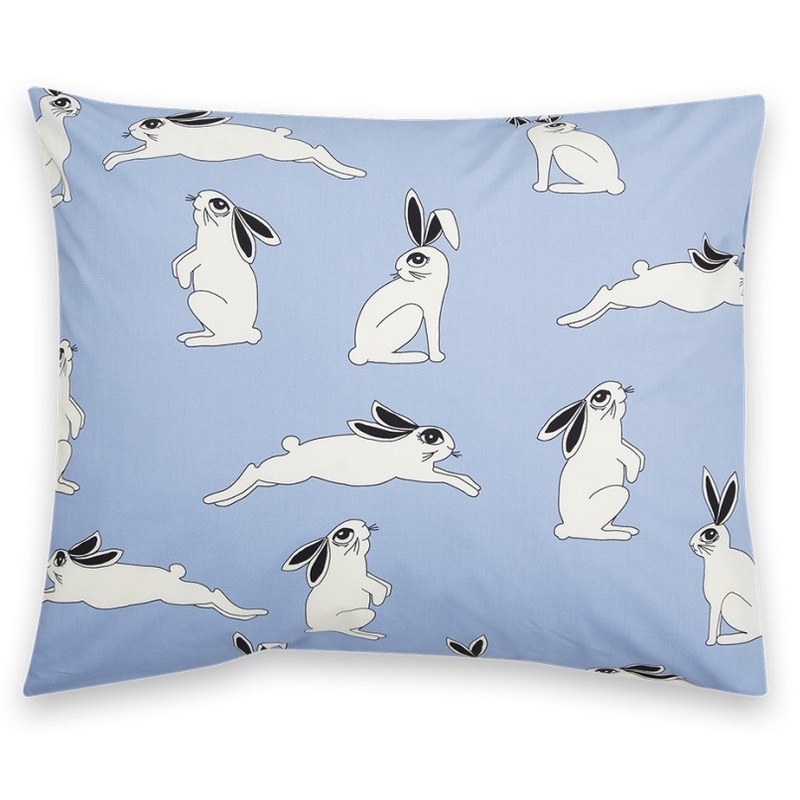 It offers a beautiful collection of textiles for the bed – duvet covers, pillow cases, bedspreads, and sleeping nests – with original and humorous patterns, and a remarkable quality. Made of organic cotton, these products are GOTS and Fairtrade certified. GOTS is the strictest certification for organic material on the market today and includes rigid controls throughout the entire manufacturing process. The Fairtrade certification ensures, among other things, that the cotton farmers who produce the cotton used in this product have fair working- and living conditions. These two independent certifications function as an extra safety and warranty that Mini Rodini’s products are both sustainably and ethically produced.